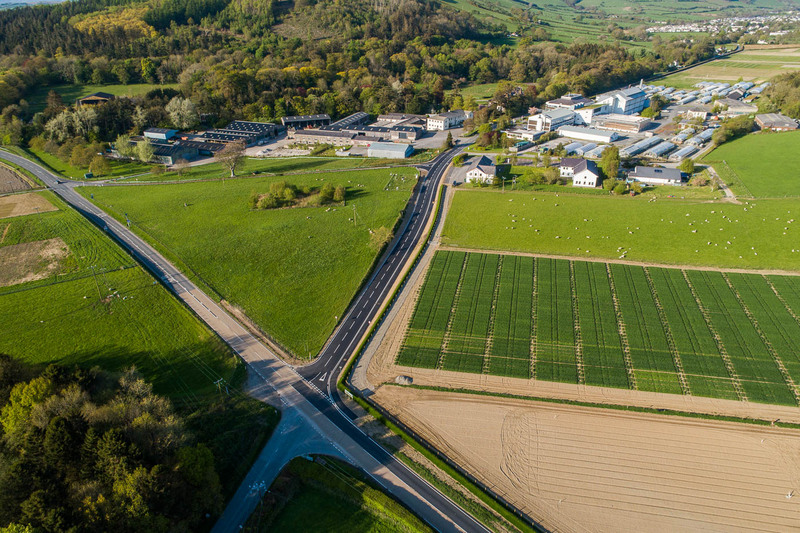 Aberystwyth Innovation and Enterprise Campus will not only bring a wealth of opportunities for innovators and companies in Mid Wales, it will also offer significant community benefits to local residents and businesses. 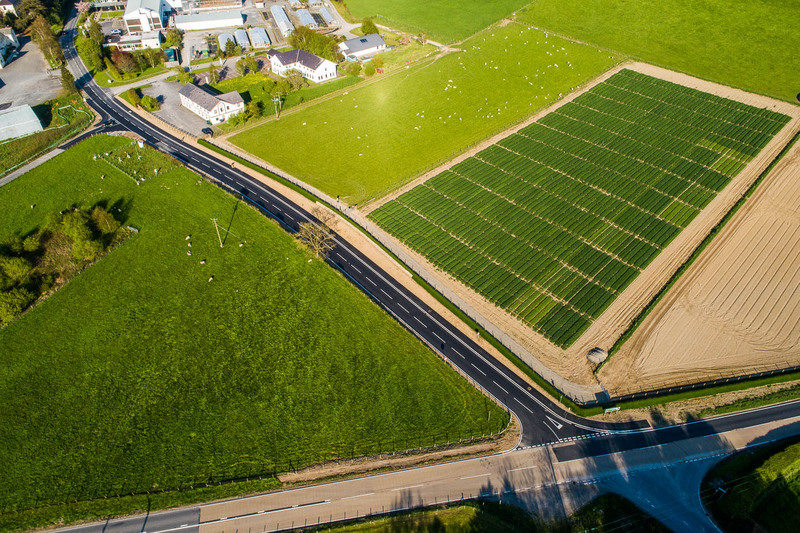 Following a comprehensive public consultation in October 2016, feedback was received about highway concerns, specifically a 'pinch point' on the C1010 road leading up to the Aberystwyth University Gogerddan Campus. This is also the road that will lead up to Aberystwyth Innovation and Enterprise Campus, and local residents were concerned about the increased traffic that this would inevitably bring to an already too narrow stretch of road. Aberystwyth University worked closely with Ceredigion County Council to find practical solutions to the issues raised. As a result, highway improvements were recently completed to widen the road from the main A4159 crossroads, as well as visibility improvement works to the C1010 junction. Some of the images below show the road before, during, and after the highway improvement works.